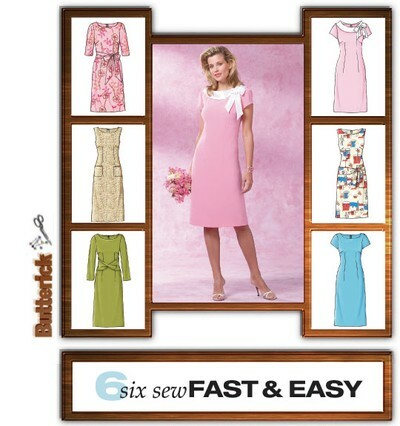 Semi-fitted, straight dress in various lengths has back zipper closure and back seam slit. A: self bands. A, D: sleeveless. B: contrast collar and bow. B, E: cap sleeves. C: below elbow sleeves and self sash. D: patch pockets. F: long sleeves and front drape. Notions description...NOTIONS: Dress A, B, C, D, E, F: 22" Zipper, Hooks and Eyes.